We fabricated some frames for a "cool" shade design. Pun intended. The Twice Daily on Charlotte is shaping up! Soon there will be a another conveniently located Twice Daily downtown to refuel your car and yourself (with White Bison coffee.) 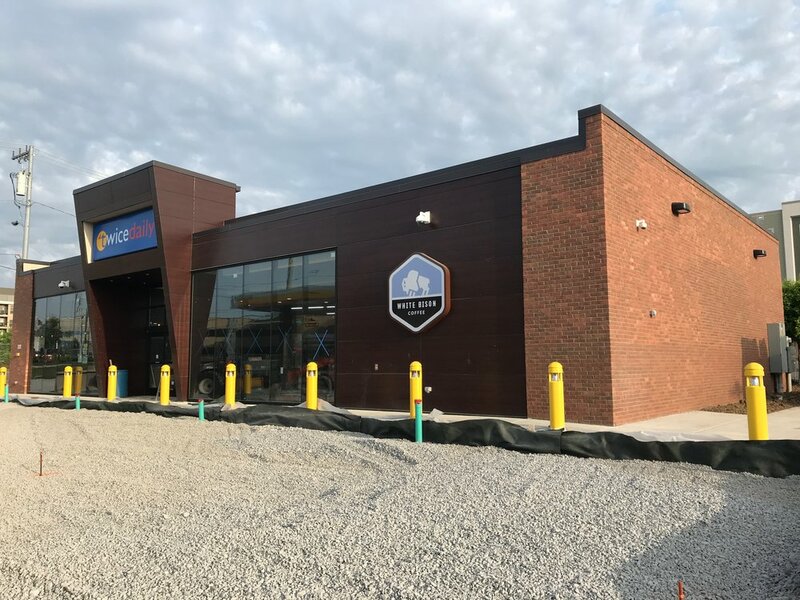 We are glad to have had the opportunity to partner with Twice Daily and Shaub Construction yet again for another successful project. Working with Shaub Construction, we have steel going up on the new White Bison coffee shop in the 12 South area. We are glad to be a part of another project furthering the development of this neighborhood. Keeping Opryland cool coming into the summer of 2018! We are making good headway with our trade partners to get Opryland up to date with more efficient air conditioning units.